Yoga is among the oldest known systems of health practiced in the world today, and research into yoga practices has had a strong impact on the fields of stress reduction, mind/body therapies, and energy work. The physical postures, breathing exercises, and meditation practices of yoga have been proven to reduce stress, lower blood pressure, regulate heart rate, and even slow down the aging process. Movement Balance Movement classes vary. But they all have one thing in common: to move, groove and improve. Ayurveda Yoga combines Ayurveda and Yoga which are sister sciences practiced for over 5000 years in India. The paths of Yoga and Ayurveda are so closely intertwined that it is hard to imagine traveling down one without knowledge of the other. Using the wisdom of Ayurveda, a Yoga practitioner can choose Asanas (postures), and Pranayama (breathing practices) specific to his or her unique constitution in order to maintain health and avoid any undesirable effects on the body. Beginner’s Yoga shows how the practice of Asana Yoga can enhance your life, improve your current workout and everything else you do. Asanas are poses that build strength and flexibility by beginning with inner thigh and working up to center core muscles through out sitting and standing poses. Breath is what makes yoga different by breathing in and out through the nose (no holding the breath). Every movement is a breath. Modifications are given to accommodate all students. Chi Gong -Qigong is an ancient Chinese art form for strengthening the body’s vital energy. Through individual effort, practitioners build up their health and prevent illness by combining discipline of mind, body and the body’s “Qi.” Qigong draws on many elements. It includes “regulating the body” through posture, “regulating the mind” through quiet, relaxation and concentration of one’s mental activity,” regulating the breath”, self-massage and movement of the limbs. It covers a wide range of exercises and styles, such as “tuna” (venting and taking in), which emphasizes the practice of breath; “still” qigong, which stresses meditation and relaxation; “standing stance” qigong, which emphasizes the exercise of the body by relaxed and motionless standing posture; “moving” and dao-yin” qigong, which emphasizes external movement combined with internal quiet and practice in control of the mind; as well as various forms of self-massage. Dance Infusion combines grounding and strengthening contemporary dance approaches with energetic exercises and entertaining music. The class provides a full body warm up, challenges and enhances coordination, and encourages confidence through commitment to movement, precision, and presence. The focus is definitely to have fun! Gentle Yoga is deal for beginners, this class emphasizes the most gentle of yoga stretches and poses for an authentic and rejuvenating work-out. Hatha Yoga is a system of physical and mental exercise developed in ancient times as a means of rejuvenation by meditating for long hours, and used today in preparing the body and mind for meditation. Esoterically, ha and tha, respectively, indicate the microcosmic sun (ha) and moon (tha), which symbolize the masculine current, pingala nadi, and feminine current, ida nadi, in the human body. The Balance. Kripalu Yoga classes Begin with warm-up movements and breath awareness to prepare you for yoga postures. The heart of each class is a sequence of postures that stretch, strengthen, and balance your body. Each class ends with deep relaxation and meditation. All levels welcomed. Kids Yoga (Little Bodhi) is a fun, creative approach to yoga that can be very helpful for children whose bodies are still developing. The use of animated poses and basic stretching exercises promote strength, flexibility, coordination & body awareness. Breathing & visualization techniques teach kids how to focus, relax and develop self-control. Kids will improve concentration and focus, stimulate their imagination and help to release energy in a fun, safe environment. Using interactive games and animated postures, kids learn about animals, nature and basic anatomy through yoga. The program promotes inner-strength, confidence and self-esteem; a feeling of well-being and respect for others; and, love for one’s self, inside & out. Kundalini Yoga as taught by Yogi Bhajan is considered the most comprehensive of yoga traditions, combining meditation, mantra, physical exercises and breathing techniques; it is a science of the mind and body, to elevate the spirit, which has no boundaries, no discrimination. Therefore it is for everyone, universal and nondenominational. Kundalini Yoga calls upon the full potential of the nervous and glandular systems and to balance the subtle system of chakras and meridians within the body. “Kriya” is an orchestrated pattern of movements, sound, pranayam, mudras, concentration and meditation that automatically guide the energies of the body and the mind to a specific result. Meditation Meditation is a safe and simple way to balance a person’s physical, emotional, and mental states. It is easily learned and has been used as an aid to treating stress and pain management. It has also been employed as part of an overall treatment for other conditions, including hypertension and heart disease. Movement for Elders A creative and empowering class for older adults to develop strength, balance, and flexability through creative movement/dance and yoga techniques. We will work both in and out of chairs (according to participants abilities and comfort levels) to explore a variety of ways to engage our bodies, breath and voice. Adults of all ages and experience levels welcome, older adults over 60 encouraged to join! Pilates focusing on the core postural muscles which help keep the body balanced and which are essential to providing support for the spine. In particular, Pilates exercises teach awareness of breath and alignment of the spine, and aim to strengthen the deep torso muscles. Posture Healing is a practice which combines eastern and western healing methods. Students learn how the integration of martial arts, and the biological sciences; speed recovery time, lessen the side-effects of medication, while reducing health care costs. Comprehensive health and maintenance leads to overall life wellness, and it is more than possible to achieve a balanced state, day by day. Saraswati Yoga involves the use of meditation, mantras and working with the mind and senses to recover this freedom. The many sages and yogis that practiced in the Saraswati area influenced this tradition. Practice is an integration of the many paths of yoga and wisdom traditions. We integrate the paths of Hatha, Vinyasa and Bhakti yogas and also wisdom traditions such as Taoism, and ancient Indian wisdom. Sivananda Yoga is presented in universal principles for physical and mental health as well as spiritual growth. Through yoga exercise, breathing, relaxation and meditation, physical vitality and mental clarity increases. Yoga exercises focus on the health of the spine, its flexibility and strength. Maintaining the spine’s flexibility and strength through exercise increases circulation and the nerves are ensured their supply of oxygen and nutrients. Spinal Balance is designed to enhance structural and neurological integration, prevent vertebral subluxations, improve spinal flexibility, posture, and core strength. Express stretching & balancing of the body and spine. 10 min blocks, mainly geared for chiropractic patients after their adjustments. Tai Chi promotes the circulation of chi or life energy within the body, encouraging wellness and vitality of the person. Tai Chi benefits both genders and people of all ages. Tai Chi is an exercise that exerts no strenuous action, there are no jumps, no aerobics, no running. The feet always rooted within the earth, the torso and arms making graceful, deliberate, and sequenced movements take on the form of physical poetry. Although many of these movements were originally derived from the martial arts, this art form has developed into an exercise meant for relaxation and reduction of stress. 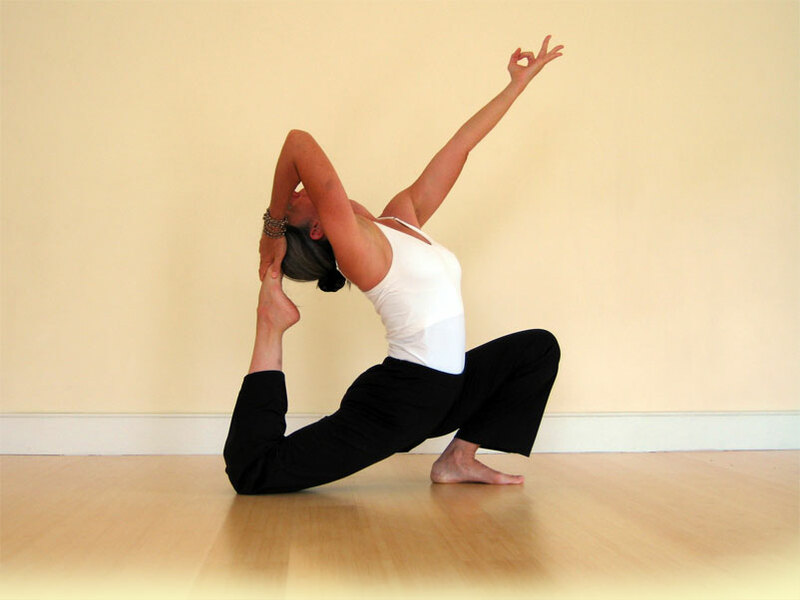 Vinyasa Yoga covers a broad range of yoga classes. The word Vinyasa means “breath-synchronized movement.” In other words, the teacher will instruct you to move from one pose to the next on an inhale or an exhale. This technique is sometimes also called Vinyasa Flow, or just Flow because of the smooth way that the poses run together and become like a dance. A Cat-Cow Stretch is an example of a very simple Vinyasa, because the spine is arched on an inhale and rounded on an exhale. A Sun Salutation sequence is an example of a more complex Vinyasa. Each movement in the series is done on an inhalation or an exhalation. Yin Yoga contains the ancient, and some say original, form of asana practice. The sages who pioneered the path of yoga used asanas to strengthen the body, so that they could sit for long periods in contemplative meditation. If you have ever sat for a long time with legs crossed, you know the hips and lower back need to be strong and open. The sensations you felt were deep in the connective tissues and the joints. These are the deep yin tissues of the body, relative to the more superficial yang tissues of muscles and skin. Yin Yoga opens up these deep, dense, rarely touched areas.